Where there are goblins, there is treasure to be found! 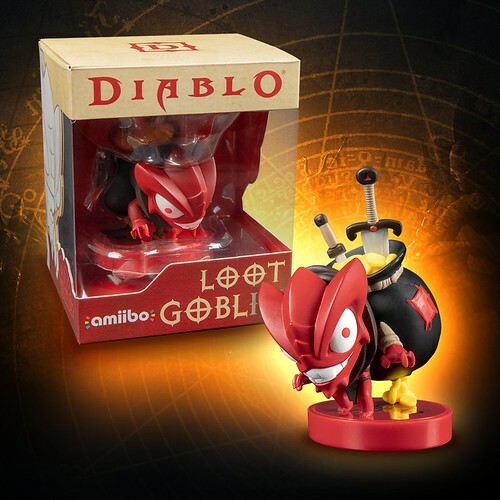 Summon your own portal to untold riches with the exclusive #DiabloSwitch Loot Goblin amiibo – available Dec 2018! I get that these things connect via wifi or NFC to the console, but what exactly do they actually do for the game? Is it like DLC in a can or something? There are so many of these out there I assume they all do different things, right? It depends upon the game; sometimes they'll unlock stuff like costumes, while others will provide in-game items or bonuses. With games like Smash, they'll store player data for characters and whatnot. Ultimately, they're kinda like DLC with a physical component.